As many of you know I like numbers. Now that’s not to say I am great with numbers, I actually flunked every math class I ever took (which is why I use a calculator), but I do enjoy them. I especially like to look at numbers and see trends, metrics, statistics and the like. It was with great joy that I took the numbers that Google posted to their blog two days ago. Since Cardboard’s release back in June of 2014 there have been some crazy levels of growth across the VR market. We’ve reviewed Google Cardboard and other alternatives, like the Mattel View-Master, before and have been impressed with most of them. They almost all give you the ability to enjoy a virtual world at an affordable price. The quality varies from device to device but overall it has been pretty enjoyable. Check out these numbers that Google released. 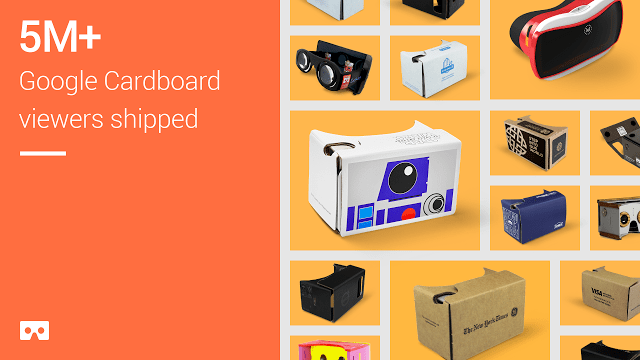 5 million Google Cardboard headsets/viewers have been shipped. In the months of October through December 2015 10 million Cardboard apps were launched. There have been more than 25 million Cardboard apps installed from Google Play from June 2014 to December 2015. 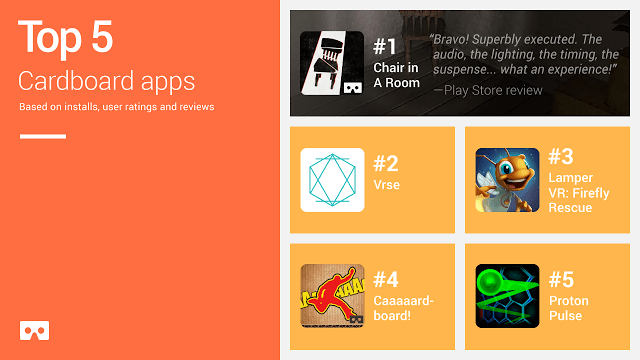 There are now over 1,000 Cardboard apps on Google Play. Users have watched 350,000 hours of YouTube videos in VR. Since Cardboard Camera‘s release in December 2015 there have been more than 750,000 VR photos taken. 500,000 students have taken virtual reality field trips around the world through Google’s Expeditions program. So what do you all think? Is VR here to stay or do you think it will be like the VR of the past where it slowly fades away into niche oblivion like the VR of yesteryear? With numbers like these, with how affordable it is becoming and with all the advancements we’ve seen in VR I for one believe it is here to stay. A huge thank you to Google for helping spur this growth and for spearheading what is quickly becoming one of my favorite hobbies!